Riley went off as a strong, handsome Marine and comes back broken and defeated. He doesn't feel whole with one leg, and the nightmares that plague him leave him dark and brooding. Paige, his childhood bestie and former lover of his brother, doesn't see him as anything but a victim of PTSD until his soft side begins to show. Dark and brooding is actually handsome, and maybe....just maybe... could he be something more then a childhood friend? Ohmigosh! I think I read this book all in one gulp and couldn't stop until I flipped to the last page. The only other book I read in this trilogy was Falling Like Snowflakes, and while that one was good, this one is superb! First of all, we get lots of tension that crackles from the first page. You can't help but hurt for Riley and the pain he goes through, and cheer for Riley as they fall for each other. I laughed, I got tears, I was inspired and my heart turned to mush before I was even at the middle of the book. And what I really appreciate about this love story is the fact that it's more complicated and less mushy only-feel-goodness. It's the feel good but also that real life troubles that comes from every romance (or so I've heard). Neither of the characters are perfect, but boy does that make the story AMAZING. I love Riley's protectiveness of Paige even though there's enough tension between them to cut with a knife. It's sweet and we're endured so much to him. I recommend this story to anyone who loves a good, contemporary romance with a very handsome marine (I mean, who doesn't love that?! ), a girl who's the only person on earth who really understands him, just enough romance to make your heart mush, a dash of inspiration to go away with a very light heart, and some encouragement to get you closer to your Jesus. This book is by-all-means almost perfect. There's nothing I hated. The character development was a joy to read, and I'm absolutely in love. 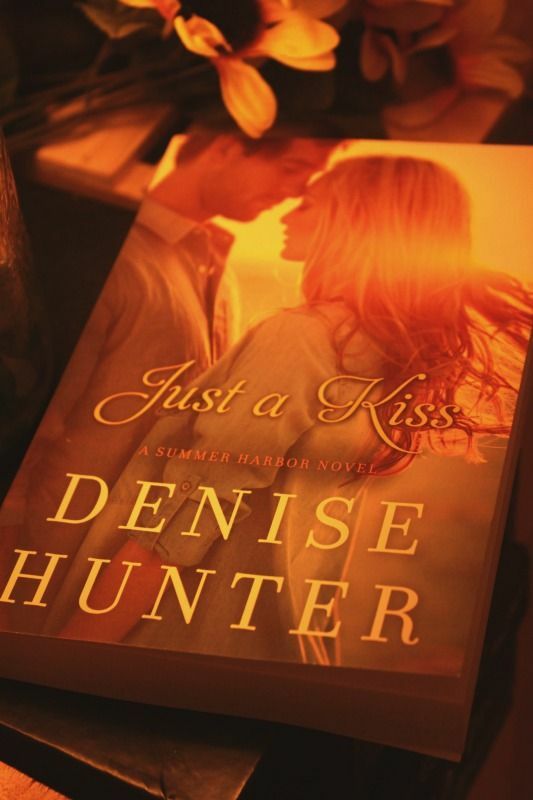 I now want to read the Goodbye Bride and get all those feels that Denise Hunter throws her fans way. Thank you, thank you BookLOOK for a chance to get this beautiful book for free!!! !